Moscow (AFP) – Russian Deputy Prime Minister Vitaly Mutko on Monday said Moscow partly accepts the findings of an explosive 2016 report on doping by Richard McLaren, but insisted the country had no state-sponsored doping programme. “We say once again that we have agreed with Professor McLaren’s conclusions concerning the activities of RUSADA (Russian anti-doping agency) and the work of Moscow’s (anti-doping) laboratory,” R-Sport agency quoted Mutko as saying. On Sunday the World Anti-Doping Agency (WADA) warned Russia it must “publicly accept” the McLaren report on state-sponsored doping in the country as officials prepared to visit Moscow to audit anti-doping progress this week. 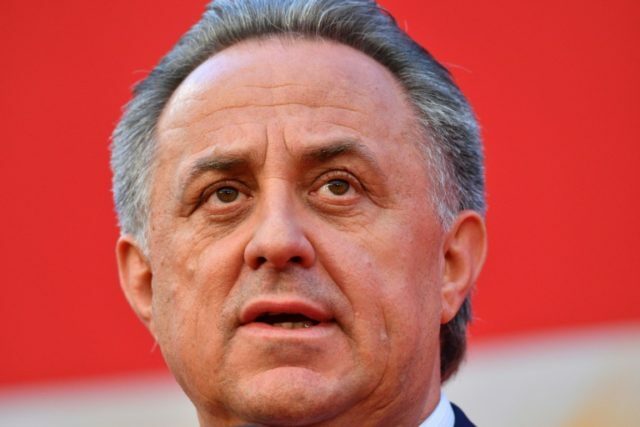 Mutko said there had never been any legal links between the country’s authorities and the work of RUSADA, adding that only WADA was responsible for its activities. The McLaren report, released in 2016, alleged state-sponsored doping in Russia from 2011 to 2015. Russia’s own anti-doping body RUSADA was declared “non-compliant” while the country’s track and field team was banned from the 2016 Rio Summer Olympics. + That the responsible authorities for anti-doping in Russia must publicly accept the reported outcomes of the McLaren Investigation. + That the Russian Government must provide access for appropriate entities to the stored urine samples in the Moscow Laboratory. These samples are sealed off due to a Federal investigation. + That WADA audits RUSADA, which will be carried out the week of 25 September 2017. However, Mutko has earlier stated that Russia will never accept the allegations that it organised a state-backed doping system in the country.